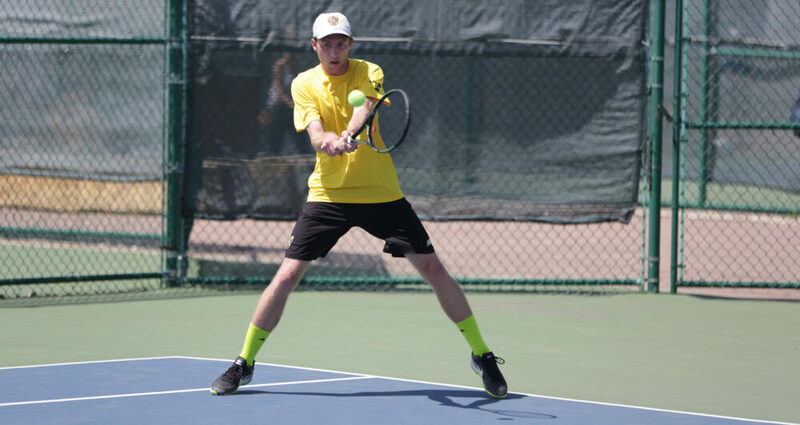 BLOOMINGTON, Minn. – Chase Johnson (Sr., Golden Valley, Minn.) went a combined 5-1 in singles and doubles play at the highly-competitive Stag-Hen Invitational, which featured a field of eight nationally-ranked teams. Johnson went 3-0 at No. 2 singles, including a pair of three-set breakers, and posted a 2-1 record at No. 1 doubles with partner Patrick Whaling. The Gusties took seventh place with an 8-1 win over No. 31 Swarthmore after losing to No. 12 Sewanee and No. 26 Skidmore. For his performance, Johnson has been named MIAC Men’s Tennis Athlete of the Week for the second time this season.